I admit it. I am guilty of having a love & hate relationship with fat. Why does it taste good but have such a terrible effect on your heart & waistline? The culprit is what kind of fats we’re putting into our bodies. But how did fats get such a bad wrap in the first place? After World War II, research emerged that linked foods with saturated fats to coronary heart disease. In the 60s, the American Heart Association recommended that people should reduce their fat consumption. From then on, the guidelines advocated for Americans to think that all fat was bad. When the word “fat” or “fattening” is used as a verb in today’s society, it has a bad connotation. But as a noun, a diet high in fat is actually good for you! If you still don’t believe me, please read on. The fact is: not all fats are created equal. Some types of fat are actually required for numerous functions in your body related to growth and reproduction. Bad Fats: Known as trans fat; created in an industrial process that adds hydrogen to liquid vegetable oils to make them more solid. Examples of Bad Fat sources: many baked goods, fried foods, non-dairy creamer and margarine. These fats help the cholesterol balance in your blood by decreasing the bad (LDL) cholesterol and increase the good (HDL) cholesterol. 2) Metabolic Health Benefits: Eating a bigger proportion of your calories from fat can help you achieve your optimal body composition. Your body requires a decent amount of fat to stay lean. Fat is filling.When prepared with a nice dose of protein, fat leads to a better satisfaction from eating, and curbing hunger and cravings. i. Coconut is high in saturated fat, but more than half of that comes from lauric acid, a unique Medium-Chain Triglyceride (MCT) that battles bacteria, improves cholesterol scores, and increases the 24-hour energy expenditure in humans by as much as 5 percent. ii. Raw Almonds have Monounsaturated Fatty Acids (MUFAs) that help lower your risk of heart disease. For example, MUFAs may lower your total and low-density lipoprotein (LDL) cholesterol levels but maintain your high-density lipoprotein (HDL) cholesterol level. 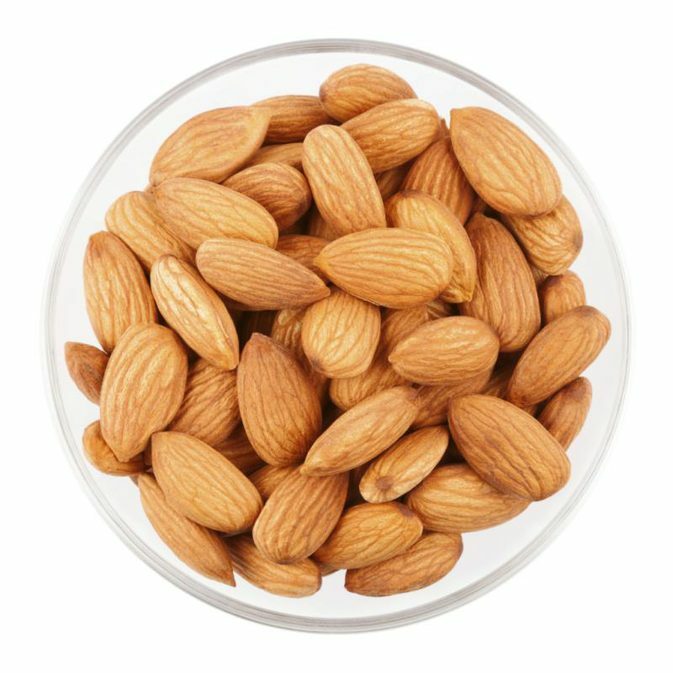 A study from the International Journal of Obesity and Related Metabolic Disorders found that when two groups of participants consumed the same amount of calories, the group which had more calories from almonds lost the most weight. iii. Avocado’s benefits are numerous. They’re rich in monounsaturated fats (heart healthy), packed with the benefits of vitamin E; help prevent free radical damage, boosts immunity, and acts as an anti-aging nutrient for your skin. So basically avoid bad fats and consume more good fats. It might sound like a tough challenge, but there's good news! Origin Almond, a South Jersey based producer of fresh almond milk, makes a delicious Thai Coconut & Citrus beverage that offers two kinds of healthy fats! Each bottle contains both Medium-Chain Triglycerides (MCTs) from Thai Coconut Milk and Monounsaturated Fatty Acids (MUFAs) from organic sprouted almonds. ...Oh and the best part? Each bottle offers 4g of plant protein with ZERO added sugar (only 2g total sugar)! Treat yourself (& your body) to a bottle at one of our retail partner locations here.